The Ocean City-Longport Bridge will be the first Cape May County Bridge Commission span to get E-ZPass, starting April 30. 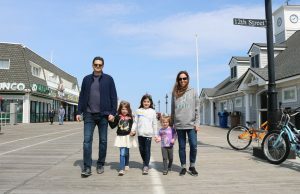 Motorists using the five bridges linking Cape May County’s seashore communities along the scenic Ocean Drive may not like the signs they see as they approach the toll plazas: “No E-ZPass,” they declare in red letters. Unfortunately, that means drivers have to fumble through their pockets for the $1.50 fare and then come to a complete stop to pay the toll collector. This slow and cumbersome process can lead to traffic backups. 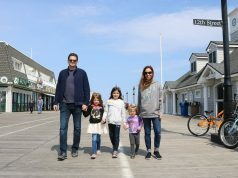 But the Cape May County Bridge Commission is finally moving ahead with plans to install E-ZPass on its Ocean Drive bridges to give motorists the convenience of the automated toll-collection system. 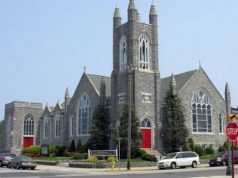 At its board meeting Tuesday, the commission said it expects to begin testing of E-ZPass on the Ocean City-Longport Bridge in October. According to plans, E-ZPass will be added to the other bridges every three or four weeks until the entire system is up and running on the five spans by January 2018. Karen Coughlin, the commission’s executive director, said if everything goes smoothly, there is a possibility the timetable could be accelerated to have E-ZPass operational on all of the bridges by year’s end. Coughlin noted that most of the calls she receives at the commission’s office are from motorists who question or complain about the lack of E-ZPass. “The people who come here to the shore expect E-ZPass on our bridges,” she said of the convenience of automated tolls. “No E-ZPass” signs currently greet motorists as they cross over the Cape May County Bridge Commission spans along the Ocean Drive. The commission’s plan to install the E-ZPass network would make the bridges compatible with major highways serving the Jersey Shore. E-ZPass, which allows motorists to pay electronically while breezing through a toll plaza without having to stop, has been in use for years on the Garden State Parkway and the Atlantic City Expressway. The big question remains, however, whether the commission will also raise tolls as part of the E-ZPass plan. Earlier this year, the agency proposed a toll hike ranging from 50 cents to $1, but has not yet taken a formal vote to implement the plan. 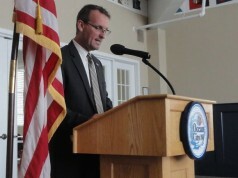 Coughlin said the commission’s three-member board still has not made a final decision on the toll increase. 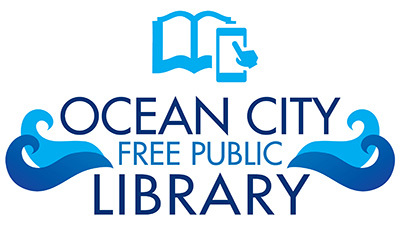 After the toll hike was announced by the commission in February, Sea Isle City Mayor Leonard Desiderio and members of Sea Isle’s City Council immediately denounced the plan. They argued higher tolls are not needed and would simply be a financial burden on local motorists. The toll increase was originally supposed to go into effect June 1, but the commission backed off taking a final vote in April. At that time, the commission decided that instituting a toll increase during the summer tourism rush would be complicated, confusing and burdensome to customers. There is currently a one-way toll of $1.50 on all of the commission bridges. 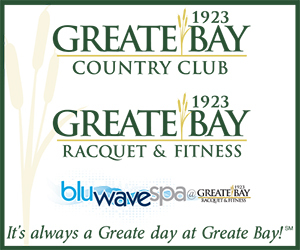 They include the Middle Thorofare Bridge, Grassy Sound Bridge, Townsends Inlet Bridge, Corsons Inlet Bridge and the Ocean City-Longport Bridge. The Townsends Inlet Bridge connecting Sea Isle City and Avalon is one of the bridges slated to get E-ZPass. Tolls have not been raised since 2009. 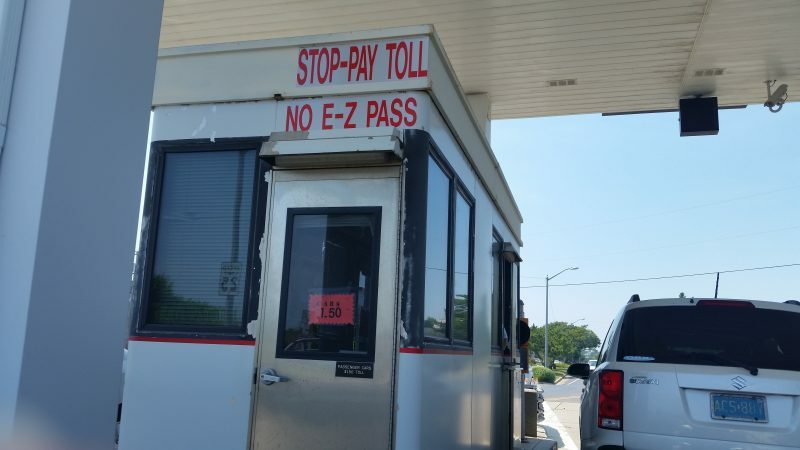 To help pay for the conversion to E-ZPass, the commission had proposed seasonal tolling rates to coincide with the county’s peak summer tourism season, so that year-round residents would not carry the burden of the increase. Under the plan, there would have been a $1 toll increase in effect from Memorial Day to Columbus Day. A 50-cent toll increase would have occurred during the off-season. However, those plans remain in limbo. In addition to funding the installation of E-ZPass, the toll increase would provide revenue to help balance the commission’s budget, establish a bridge maintenance plan and build long-term capital improvements. In the meantime, the commission has been awarding construction and purchasing contracts to get E-ZPass ready. Cape May County Engineer Dale Foster said another contract will be awarded in August for the E-ZPass signs. 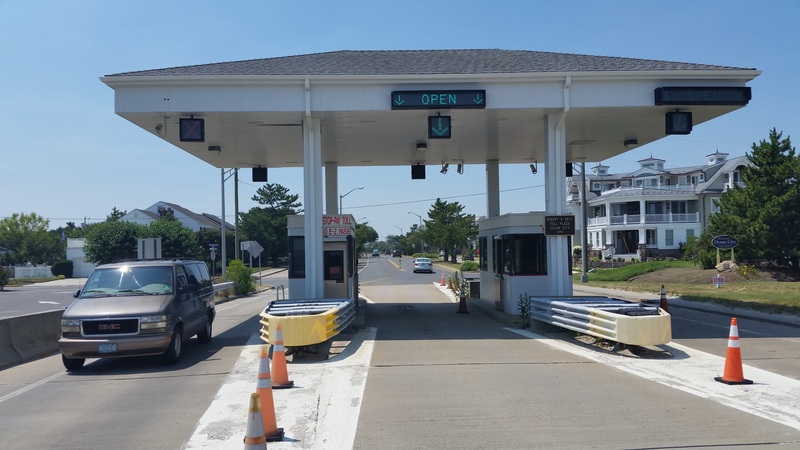 The Ocean City-Longport Bridge has been chosen as the first bridge to get E-ZPass because its existing toll plaza already has the overhead gantries that are needed to support the hardware for the E-ZPass system, Foster explained. 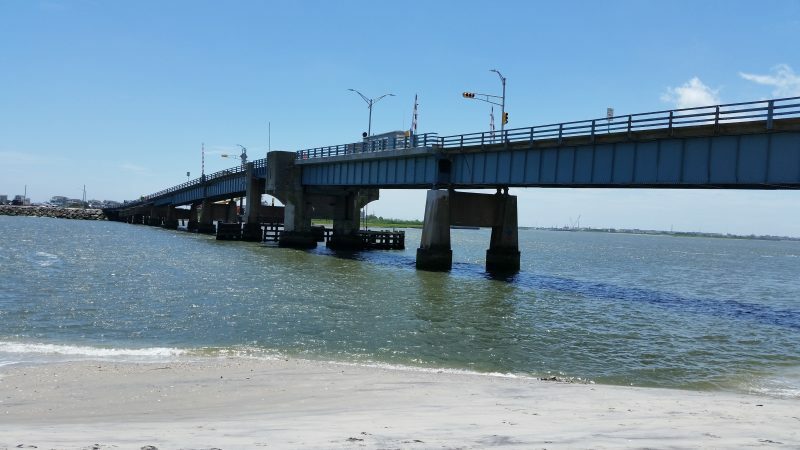 After the Ocean City-Longport Bridge, E-ZPass will be installed at the Grassy Sound Bridge, then the Corsons Inlet Bridge, then the Townsends Inlet Bridge and, finally, the Middle Thorofare Bridge, the commission said. Each bridge will come online with E-ZPass in intervals of three or four weeks.